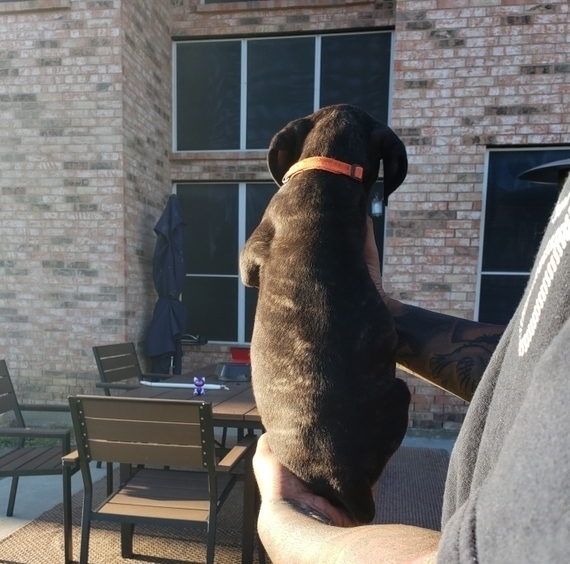 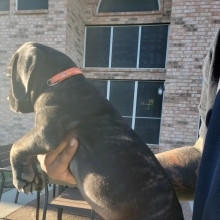 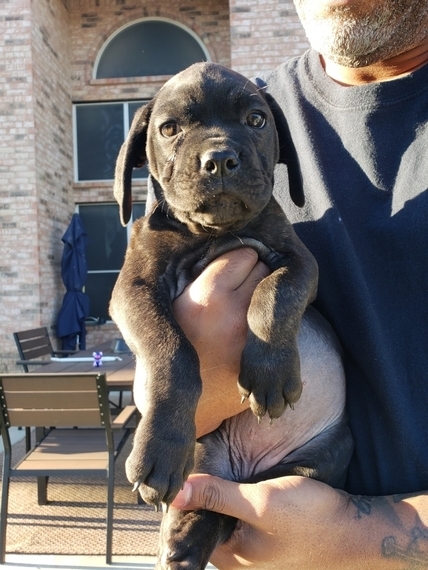 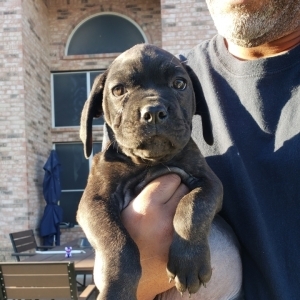 Purebred Italian Cane Corso. 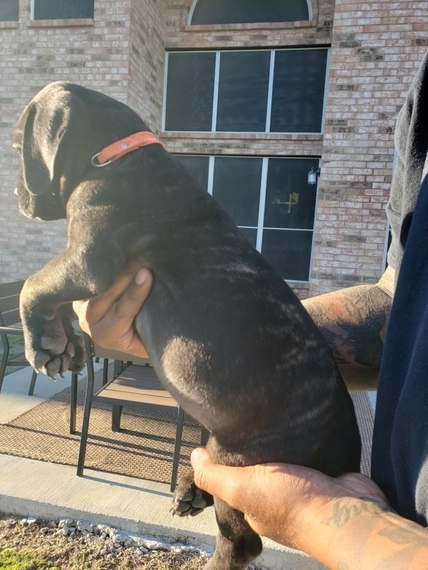 Black/Fawn brindle with black mask. 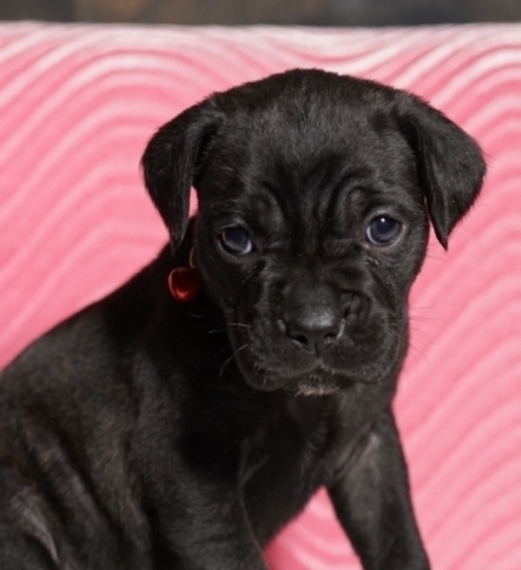 Fun and loving personality and will make a great addition to any loving family. She’s always ready to play and hopes you are too! 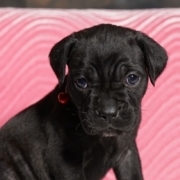 She will be up to date on her vaccinations and pre-spoiled before coming to her new home. Make Savona part of your family today and you’ll be glad you did!